2018 Racing Hearts 5k/10k Challenge - Sign up! | Racing Hearts - Helping to save lives with AEDs. Home » Heart Race » Previous Races » Heart Race 2018 » 2018 Racing Hearts 5k/10k Challenge - Sign up! 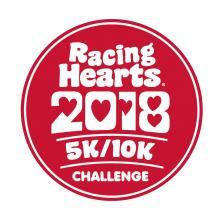 2018 Racing Hearts 5k/10k Challenge - Sign up! Want to join our 2018 Racing Hearts 5k/10k Challenge? AWESOME! Racing Hearts 5k and 10k Challenges are FREE to join! Please share and tell your family members, friends, and colleagues to join us in celebrating active living for heart disease and heart safety! Both 5k and 10k Challenges go from March 1 - March 18th. How to join our Racing Hearts 5k/10k Strava Challenge? 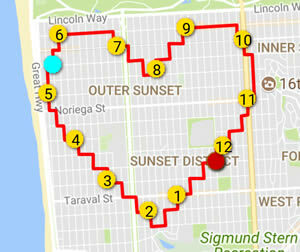 Sign up - Locate the Racing Hearts 5k and 10k Challanges in the Challenge Gallery and click the join button (on Android you can find the gallery in the Navigation Tab and for IOS use the Explore Tab). Prepare & Invite friends - Make sure to familarize yourself with the Challenge rules and details. To ensure you meet the Challenge goal, we recommend you run or walk a small amount over the required distance (about .5km/.3mi). GPS isn't perfect so this will help accommodate data inaccuracies. Walk/Run for Heart Wellness and Heart Safety - Once you've joined the Racing Hearts 5k and/or 10k Challenge, start recording activities between March 1 - March 18th and they'll automatically count towards the Challenge. Many of our supporters are planning to walk or run a 'heart' route! Support our cause - If you would like to support our Racing Hearts mission of ensuring access to life saving heart defibrillators (AEDs) in our community and/or if you would like to receive our race long sleeve tech shirt and/or a finishers medal, please register here! How do I create an account on Strava? How do I record my walk or run? You can choose to use the Strava app to record and upload your activities or, if you already have a dedicated GPS device, you can record with it and sync your activities to your Strava account. To find out if Stava supports your current device click here. Where can I check my progress towards the Racing Hearts 5k/10k Challenge? You can always check the Challenge page to view your progress. On both web and mobile platforms you'll find a progress bar on the Challenge page. Once you complete the Challenge you'll find a completion badge in your activity feed on the website. Problems? - What if my activities aren't being counted towards the Challenge? There are several reasons that could prevent your walk and run from counting towards a Challenge. Reviewing the 'Additional Info' section on the Challenge page will give you more information about the individual Challenge. Look for the (i) icon on the Strava mobile app. Want to get started? Here are starter guides for your mobile device or web. Find out how to upload to Strava from your GPS device. Record a test activity and get familiar with the recording and upload process (recording guides for IOS - iPhone and Android) Still trouble uploading? Helpful tips for IOS - iPhone and Android. Give your phone (or other GPS device) time to acquire a solid GPS connection.